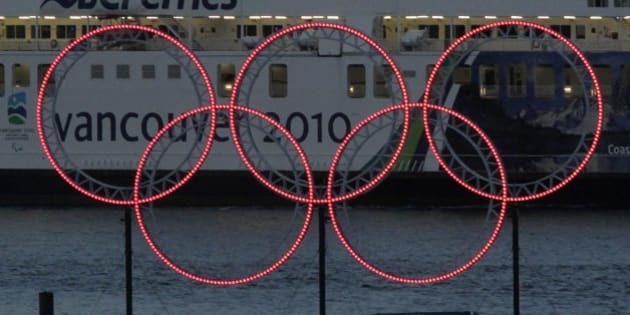 VANCOUVER - The RCMP has lost a long-running lawsuit with a U.S. company that accuses the force of breaching a contract that was supposed to provide cruise ships as accommodations for security forces during the 2010 Winter Games. The ruling, issued earlier this week by a judge in Washington, D.C., concluded the RCMP entered into a contract with Cruise Connections, but then went about making demands and refusing to offer assurances that the cruise company would not get hit with a massive Canadian tax bill. "There is no doubt that RCMP's own actions impeded finalization of charter party agreements," wrote U.S. District Judge Rosemary Collyer. "The court finds that RCMP agreed to pay all Canadian taxes imposed on the cruise lines. When RCMP refused to acknowledge its commitment and then repudiated it, it breached the agreement between the parties in a distinctly fundamental way." In 2008, the RCMP was faced with the task of finding accommodations for officers who were assigned to the integrated security unit that was in charge of providing security at Games. The contract was to provide members of the unit, mostly RCMP officers, with bunks, food and laundry. The decision, released Monday, did not specify damages. However, Cruise Connections had argued in past legal proceedings the RCMP should be liable for up to the entire value of the $57-million contract. Although Canada won an early legal judgment agreeing the case should not proceed in U.S. courts, that decision was overturned and the case has been slowly making its way through a labyrinth of arguments. Court documents show Cruise Connection was chosen to provide three ships for security staff and the company would, in turn, subcontract with Holland America and Royal Caribbean to provide the ships. Cruise Connections had what are known as charter party agreements, worth a total of $39 million, with the cruise lines to provide the ships. But before the agreements with the cruise ship companies could be executed, the cruise lines wanted the RCMP to assure them they wouldn't be forced to pay income and payroll taxes. Court documents show Cruise Connections had good reason to be worried. After Hurrican Katrina, Carnival Cruise Line provided ships to house government workers but the company was later dinged with millions of dollars in taxes. Cruise lines don't usually have to deal with such taxes because they are registered under foreign flags, the documents show. With that in mind, shortly after the agreement was reached between the RCMP and Cruise Connections, the company asked for the RCMP's assurances in writing. "RCMP representatives assured Cruise Connections that the tax issue already was addressed and stipulated in the project services agreement between the RCMP and Cruise Connections," Collyer wrote in a 2011 decision that was a precursor to this week's ruling. "However, when Cruise connections asked for such assurances on RCMP letterhead, rather than by email, the game changed." Collyer concluded the RCMP "abruptly" reassigned the two people who had been handling the negotiations and handed the file over to Normande Morin, the force's director of strategic procurement based in Ottawa. "If anyone bore the brunt of responsibility for the financing falling through, it was Ms. Morin," the judge wrote. Without the assurance on the tax issue that Cruise Connections needed, the company wasn't able to proceed with its agreements with the cruise ship companies and obtain bank financing. The RCMP had argued it never agreed to pay those taxes. Instead, the force said Cruise Connections breached its contract obligations and missed deadlines. "The entire record makes it plain that RCMP's own conduct was the central reason why negotiations for charter party agreements were prolonged and expensive," the judge wrote. "The cruise lines would not pay Canadian taxes, and they could use their ships elsewhere."